When it’s just me at home for lunch, I get to play with new recipes and things I’ve never tried before. That being said, I’m still a pretty conservative cook… So here is my new favorite pasta sauce for my lunches. 1. Cook 1 box of pasta (I used Rotini) according to package directions. Reserve 1/4 cup of pasta water. 2. Heat 4 tbsp of olive oil in a sauce pan over medium heat. Add 6-8 sliced garlic cloves. Yes, I love garlic. Cook until fragrant. 3. Add 1/4 cup of reserved pasta water. 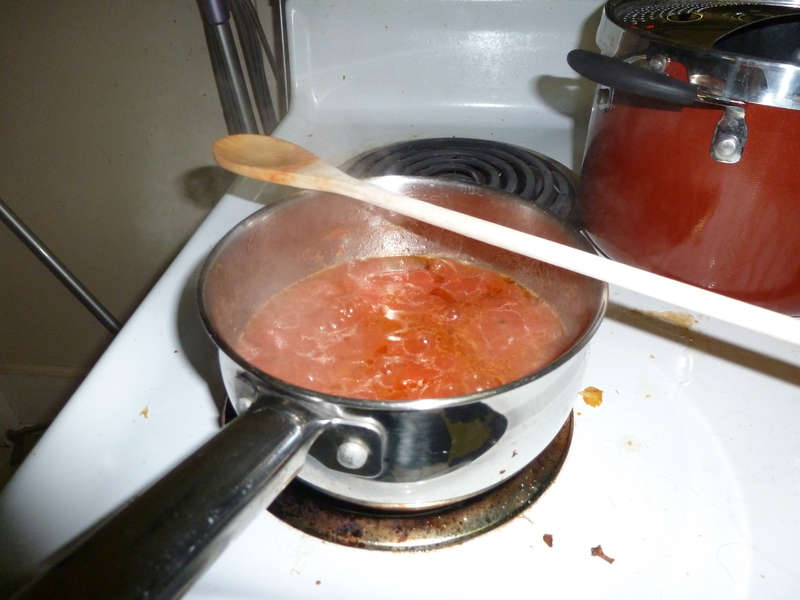 Add 1 can of diced tomatoes. Cook until reduced to desired consistency. 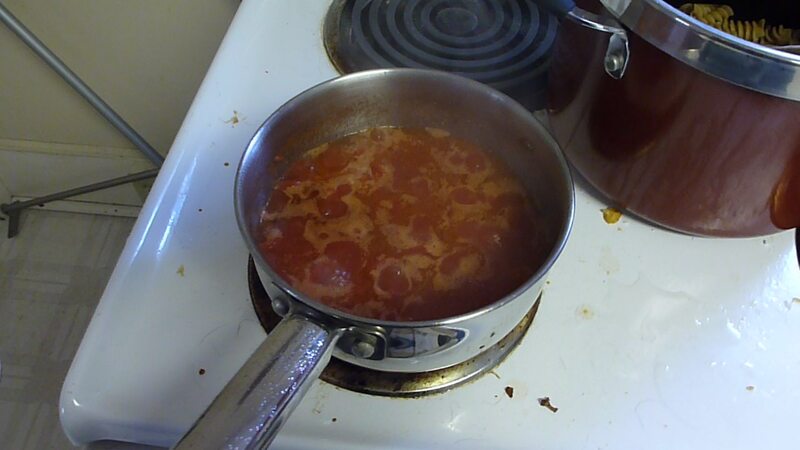 I cooked mine until the tomato chunks were visible under all the liquid. 4. Add sauce to pasta. Stir. Eat. Confession: I also added a ton of garlic powder when I poured in the diced tomatoes. I’m sure no one else likes garlic that much. Try adding any veggies you like and have to the sauce. Enjoy another quick and easy lunch! !